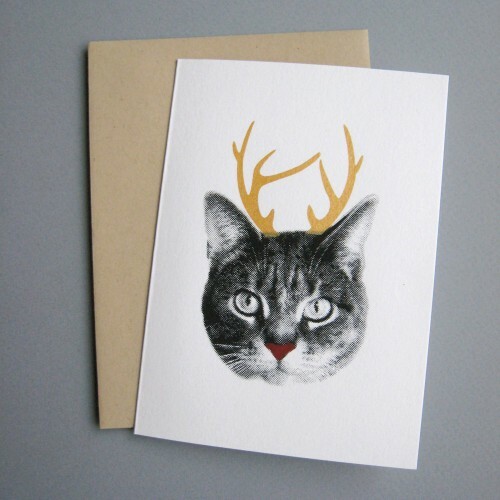 The newest addition to the Gee Whiskers series—a cat-a-lope holiday card. 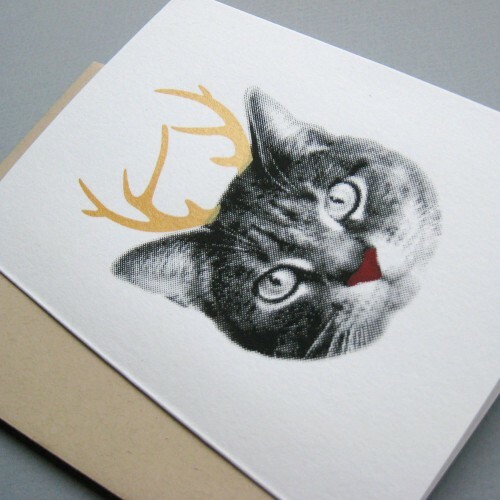 It’s the puurrrrfect way to say happy holidays. These cards are screenprinted with three colors on Paper Source Eco White paper and blank on the inside. (Includes a French Paper kraft envelope.) Available for purchase in my shop individually or in a 5 pack. 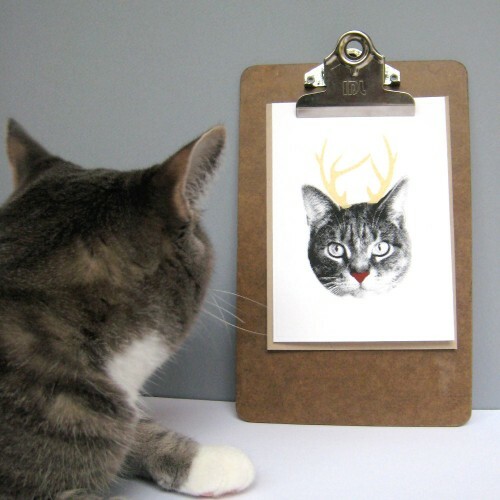 This entry was posted on Wednesday, November 16th, 2011 at 12:19 pm	and is filed under my shop. You can follow any responses to this entry through the RSS 2.0 feed. You can leave a response, or trackback from your own site.